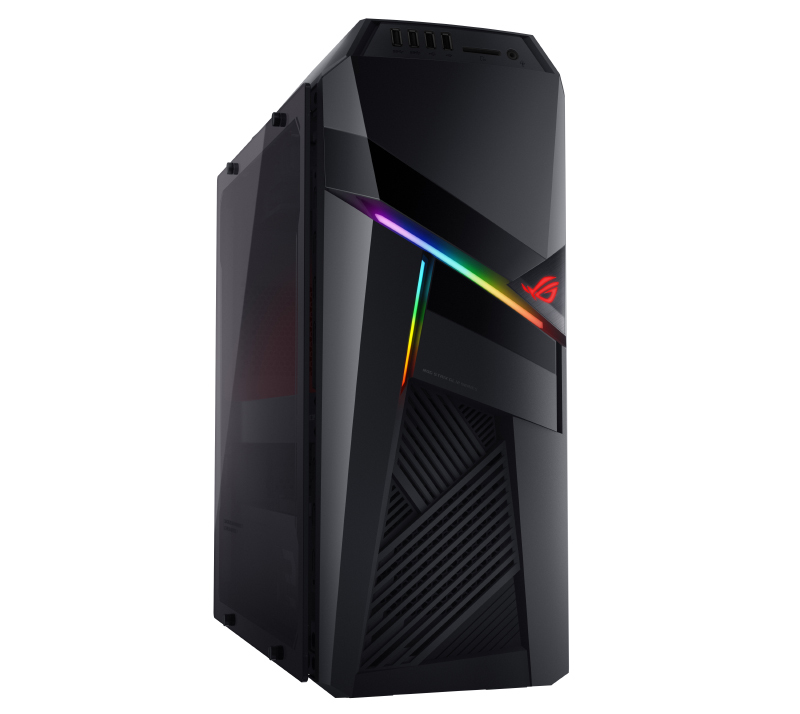 The ASUS ROG Strix GL12 is the successor to the old ROG Strix GD30 and it is the newest gaming system from ASUS’ gaming-focused ROG lineup. It is unusual in the sense that it is neither a full-tower or mid-tower desktop system. 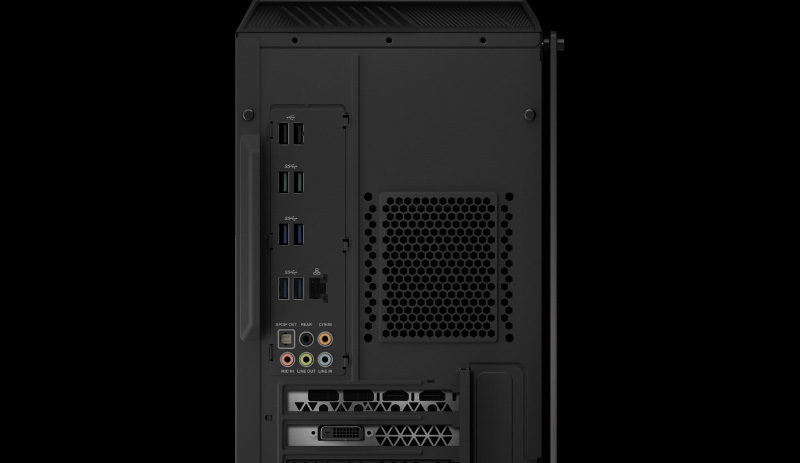 The fact is that it is somewhere between the size and so ASUS simply calls it a gaming tower. The unit we are testing today is the range-topping model with a Core i7-8700K processor, GeForce GTX 1080 graphics card, 64GB RAM, and 512GB SSD and 2TB HDD. I have covered the ROG Strix GL12 quite extensively in an earlier video, which I shall embed below. But it is worth going through some of the product’s features. As I mentioned in the video, the construction, assembly, and accessories of the system are good. The casing itself feels sturdy and cable management is exemplary. The system even comes with a keyboard and mouse. Obviously, it isn't a mechanical keyboard and it isn't the most fluid or ergonomically-friendly mouse in the world, but it does mean that the only thing stopping you from playing your games right away is the lack of a monitor. 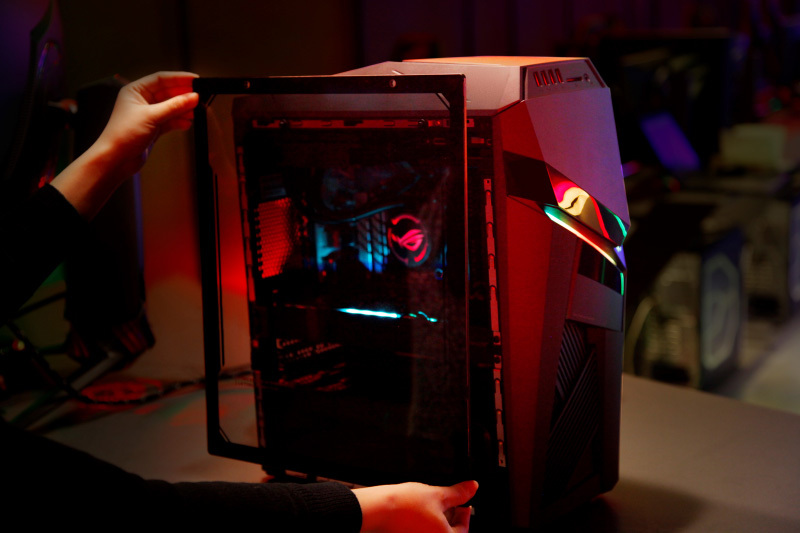 The ROG Strix GL12 also comes with a swappable transparent side panel that lets its owners see the inside of their system. It is a thoughtful addition but installing it is a hassle because it isn’t a direct replacement for the standard side panel. Instead, users are required to install metal feet and fasteners so that they can affix the transparent panel to the side of the system. In terms of features, the ROG Strix GL12 has just about all the crucial ones that gamers need. However, the lack of USB-C and Thunderbolt 3 connectivity is a little concerning. Still, if it’s any consolation, USB-C isn’t quite mainstream yet and neither are Thunderbolt 3 devices. Plus, Thunderbolt 3 devices are generally quite expensive. Lastly, ASUS compensates with no less than 12 USB Type-A ports supporting a variety of USB standards, including two that supports the newer and faster USB 3.1 Gen 2 speed. You can upgrade and swap components on your own. If you need extra memory or storage, the ROG Strix GL12 has provisions of them. The only shortcoming is that since it uses a mATX motherboard, SLI is out of the question.